We were excited to co-host a Mordant dinner, which is part of a series created by artist, Victoria Manganiello. 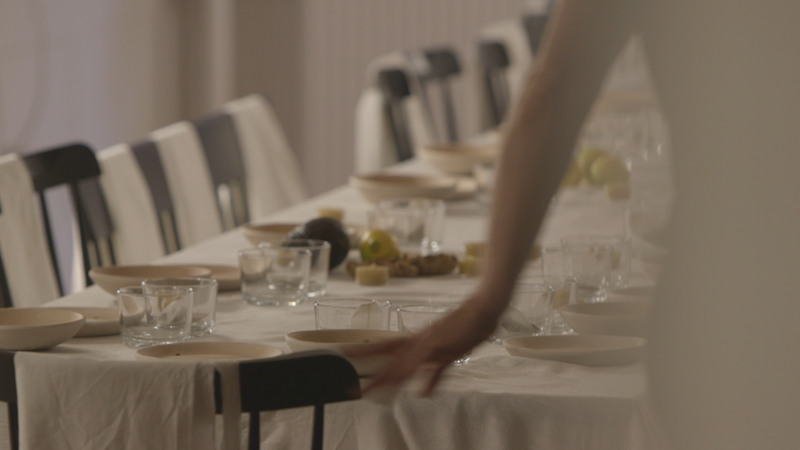 This dinner was prepared by the artist and served upon a tablecloth she wove by hand. The meal was served such that the food inevitably met the cloth, translating it into a painting canvas which then becomes an homage to the ingredients, fibers and guests.